During my research, to document the pioneer families who settled in Cavendish-Teakean, I have spent many hours researching local newspapers and in an attempt to create stories, of lives lived and the contributions made, to their communities and the events of the day, which shaped the world and those communities. The Kendrick Gazette is a valuable resource and finding aid, on May 17, 1945, the paper published an article about a Permanent Roll of Honor, sponsored by the Kendrick Commercial Club. This list is of the men and women who served our country, by town, or village and denotes those with Gold Stars, who did not return, from their call to duty. at Craigmont and was the educational supervisor at the CCC Camp at Bruneau, Idaho. Russell married Mildred Isabelle Fairley, the daughter of Earl E. and Helen Amelia (Parks) Fairley, on August 26, 1933. Together they had two children, a son, Marion and daughter, Camille. Russell enlisted in the United States Army Air Forces, USAAF, on August 15, 1941 and was assigned to Ft. Richardson, Alaska and was killed during a photographic mission, on April 29, 1942.
on a photographic mission near Kodiak, Alaska, according to a telegram received by his wife, Mrs. Mildred Betts, of Peck, Monday. Lieut. Betts was born Feb. 17, 1911 at Southwick. He attended school there and the University of Idaho, where he majored in education. Lieut. 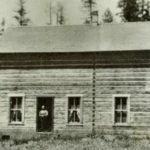 Betts taught at the New Hope school near Craigmont in 1932-33, and was educational supervisor in the CCC camp at Bruneau, Ida., for three years before enlisting. Following enlistment, he was sent to Anchorage, Alaska, for photographic work. He visited relatives her March 15, making the round trip by plane. He married Mildred Fairley, Peck, on August 26, 1933. Survivors Include his wife, Mildred; two children, Marion, age six, and Camille, age one, Peck; his mother, Mrs. Ola Betts, Clarkston; two brothers, Ray and Dan and a sister, Donna Jean, all of Clarkston; one sister, Mrs. Orville Skaggs, Union, Oregon, and a brother, Archie Betts, of Anchorage. His father died six years ago.–Lewiston Tribune. Lieut. Betts was well and favorably known here in Kendrick, having grown to young manhood at Southwick, and having been employed at different intervals during the summer vacations here, and it is with deepest regret that Kendrick residents will learn of his death. Russell was originally interred, in Alaska, his remains were returned to Idaho, in 1948, via the army transport ship Honda Knot. Russell was among the 1,566, military personnel who perished in Alaska during the war and were repatriated afterward. His final resting place is at Normal Hill Cemetery. 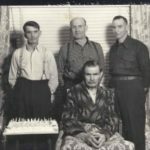 Henry Oscar Wittman was born on August 5, 1915, to Frank Oscar and Lydia Adelaide (Thomas) Wittman at Teakean, Clearwater County, Idaho. His father was a native of Wisconsin and his mother, a native of Missouri. 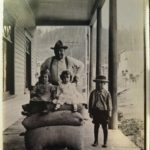 Frank Wittman came west to Idaho, in 1902 and farmed at Teakean, Southwick, Cavendish and Kendrick, as well as operating a sawmill, in those places. In 1912, Frank married Lydia Adelaide Thomas. Henry was the 2nd child and 2nd son, born to Frank and Lydia. Henry spent his youth in and around Southwick. Prior to his service during the war, Henry joined the U. S. Coast Guard, in 1937. He spent two years stationed, in Hawaii. 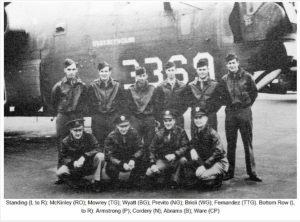 He enlisted in the reserves, after his discharge and returned to active duty, on February 8, 1941, that summer he joined the Army Air Corps. Henry was killed during a training mission, at Wendover Airfield, in Utah, on August 29, 1943. Sgt. 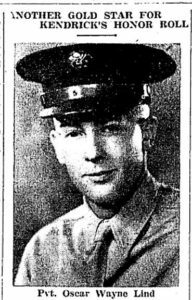 Henry O. Wittman, Cavendish, was killed in the crash of an army bomber, Sunday, which took the lives of five officers and five enlisted men. 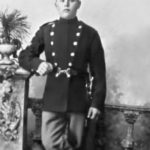 His parents, Mr. and Mrs. Frank O. Wittman learned of his death in a telegram Monday from Wendover Field, Wendover, Utah. of the 10 from the northwest. Sgt. Wittman’s body is being brought to Orofino for burial, his father was informed in the wire. Sgt. Wittman is survived by his parents, Mr. and Mrs. Frank O. Wittman; one sister, Claribel; five brothers, Martin in the armed service overseas; Joe, in the armed forces, stationed in Colorado; Tom, at Grangemont, and Francis and Bernard at home. Further details of Sgt. Wittman’s life or the pending funeral arrangements are not available at this time. Lieut. 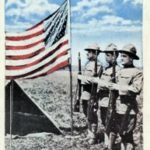 Russell Betts, Southwick, killed in a plane crash, near Alaska; Robert J. Groseclose, Juliaetta, who passed away in a Japanese prison camp following the fall of Bataan, Philippine Islands; Tyler Mill, Southwick, killed in action in North Africa, and Sgt. Wittman, Cavendish. Henry Oscar Wittman was interred at Normal Hill Cemetery, in Lewiston, on August 4, 1943. Funeral services were held Saturday, August 4, at the Catholic church in Southwick, at 10:00 a.m., for Sgt Henry O. Wittman, who gave his life in the service of his country, with the Rev. Father Francis Bonora, in charge. Henry Oscar Wittman was born at Teakean, Idaho, on August 5, 1915. He spent most of his life in and around Southwick, Idaho, attending schools in that section. In the year 1937 he joined the U. S. Coast Guard, and was stationed in Hawaii for two years. On his return to the states he enlisted in the Federal Reserve, and on February 8, 1941, he was called back to the colors. In the summer of 1941 he became a member of the Army Air Corps, and met his death in the crash of an army bomber near Salt Lake City, Utah, while a member of that branch of the service. Interment was in the Normal Hill cemetery at Lewiston, with the Lewiston American Legion in charge of the military graveside services. Sgt. Wittman is survived by his parents, Mr. and Mrs. Frank O. Wittman, Cavendish; one sister, Claribel, at home; five brothers, Martin, in an armored division overseas; Joe, in the armed forces in Colorado; Tom, at Grangemont, Idaho; Francis and Bernard at home. the namesake of Ervin’s brother Bernard Smith Armstrong, who was killed in France, during WWI. Bernard F. Armstrong, graduated from Lapwai High School in 1938 and went to the University of Idaho, for two years. He enlisted in September of 1940 and was commissioned a 2nd Lieutenant in May of 1943. 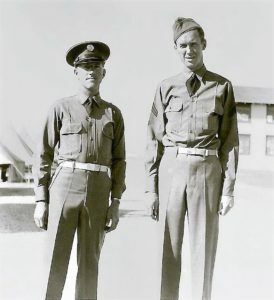 Bernard F. Armstrong, son of Mr. and Mrs. Ervin A. Armstrong, Lapwai has been commissioned a second lieutenant in the army air corps and is ready for active duty, according to wo word to the Tribune, Lieut. Armstrong won his wings at the Douglas air base advanced flying school, Douglas, Arizona. After Bernard received his commission in May of 1943, he married Dorothy Mae Martin, on June 10, 1943. Mr. and Mrs. E. A. Armstrong will leave Wednesday for Boise, where they will attend the wedding of their son, Second Lieut. Bernard Armstrong and Dorothy Martin, daughter of Mr. and Mrs. Jim Marin of Lapwai, Lieutenant Armstrong has just completed his advanced aviation training and Miss Martin is a registered nurse and has been employed at the Gritman hospital in Moscow for the past year. Both are graduates of the Lapwai high school. In April of 1944, he was deployed overseas and on May 5th, of the same year, he was reported as missing. 2nd Lt. Bernard F. Armstrong, 23, Lapwai, is missing in action over Romania since May 5, according to word received yesterday from the war department by his wife, Mrs. Dorothy Armstrong, and his parents, Mr. and Mrs. Ervin Armstrong. He is a grandson of Mrs. Clara E. Armstrong. 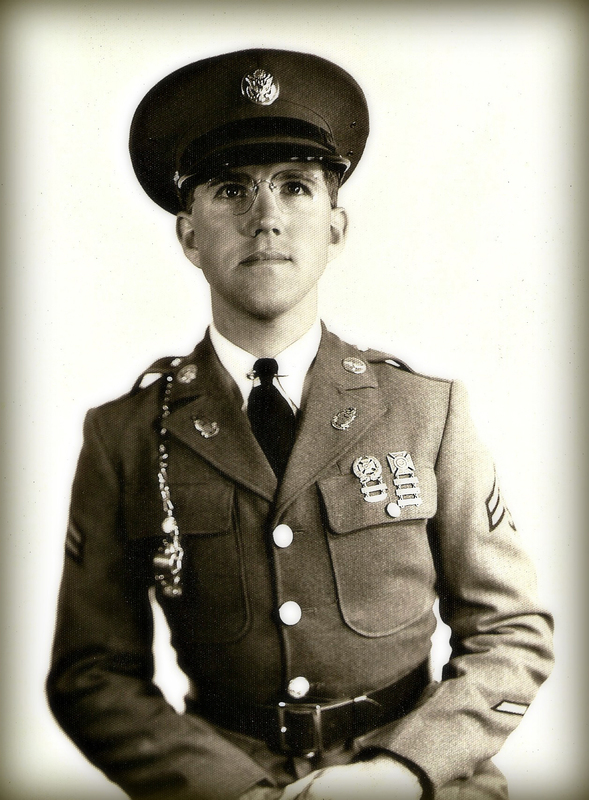 During his second year at the University of Idaho in 2941, he went into with the Idaho national guard and was stationed at Fort Lewis for 18 months and then transferred to the army air forces. He received his wings and was commissioned May 20, 1943, at Fort Douglas, Ariz. On June 10, 1943, he was married to Dorothy Martin of Lapwai at Boise. Lt. Armstrong went overseas in April. His mother received a letter from him Saturday which was dated May 3. Lt. Armstrong has a brother, Clark Armstrong, who is an aviation cadet at Kingman, Ariz., and a brother, William, and two sisters, Clara and Catherine, at home. His wife is residing in Clarkston. Based in Italy, he was on his eighth mission, on May 5, over the Ploesti oil fields in Romania when his ship, “Bonnie’s Boys,” went down. I have not found an obituary for Bernard, to date. However, his remains were repatriated and he was laid to rest at Fort McPherson National Cemetery, Maxwell, Nebraska, on August 9, 1950. Oscar Wayne Lind was born March 3, 1922 to Paul Adam and Edith Grace (Raby) Lind. The Lind family were part of the Dunkard settlement, that arrived and settled in Cavendish-Teakean, in the early 1900s. Oscar’s mother’s family came to Cavendish-Teakean, from North Carolina, in 1900. Paul and Edith were married on May 13, 1919 at Kendrick, Latah County, Idaho. Oscar was the 2nd child and 2nd son born to Paul and Edith. Oscar enlisted on November 21, 1942, while still attending high school. He never married and was the first soldier from Kendrick to be killed in action. Pvt. Oscar Wayne Lind, 22, was killed in action in France on November 14, 1944 according to notice received from Washington, D. C., by his parents, Mr. and Mrs. Paul A. Lind, Kendrick, Idaho, on November 29, 1944. He was in Co. B, 69th Tank Bn., 6th Armored Division, serving in Gen. George C. Patton’s Third Army, and was in service in Alsace-Loraine. He was the first boy from the Village of Kendrick to die in action in this war. Wayne was a Post-Graduate of the Kendrick High School with the class of 1942, as he was called to the colors just before completion of the school term. He went over-seas in May of this year, and with his brother, Eugene, was in the Third army, but never got to see each other. He became a member of the Church some eleven years ago. He is survived by his parents, Mr. and Mrs. Paul A. Lind, three brother, Leon, Eugene and Robert, now all in the service, besides a host of other relatives and friends. Oscar was repatriated in 1948 and interred on September 2, of that year at Golden Gate National Cemetery, in San Bruno, California. Earl Chester McIver was born August 24, 1924 to Chester and Stella Mae (Triplett) Mciver. The McIver family and settled in Southwick, in the late 1800s and Chester was born at Southwick. Earl’s mother’s family came to Cavendish-Teakean, from Missouri in 1890 and Stella was born at Cavendish. Chester and Stella were married on January 26, 1916 at Southwick, Nez Perce County, Idaho. Earl was the 3rd child and 1st son born to Chester and Stella. On September 18, 1934, the first tragedy would strike the McIver family, when oldest daughter Alice Pearl would die after contracting polio. Earl enlisted on December 14, 1942 and he died in Manila, Philippines, on April 30, 1945. Thursday of last week Mr. and Mrs. Chester McIver received a telegram from the War Department, advising them that their son Sgt. 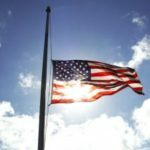 Earl C. McIver, had given his life for his country Monday, April 30, on Luzon, Philippine Islands. We regret the lack of further details, but to date we have been unable to contact the McIver family. However, we believe Sgt. McIver had been in the service some 20 months, having gone over seas last fall. The sympathy of all goes out the bereaved family. Earl war interred at Ft. McKinley Cemetery, in Manila and apparently was not repatriated. However, there is a cenotaph, in the family plot, at Pine Hill Cemetery, Southwick. Jo Fredrickson. It is really wonderful what you have done here. McIver was a relative and Betts was a neighbor. I commend you. 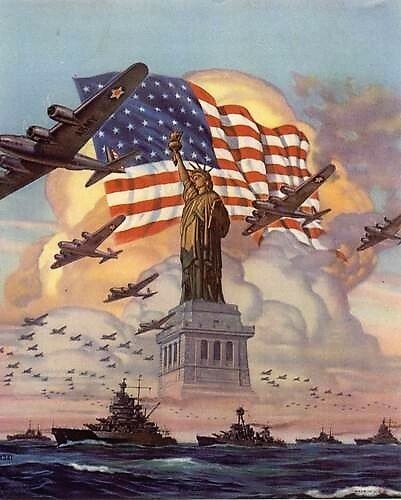 Thank God for those men and women who came before us and saved our country. Because of them we are still speaking English. I whole heartedly SALUTE them and all our military.